This website is under continuous development. If you have any suggestions or comments, please contact us! Meetings are normally held in Dutton Hall of the Groton Congregational Church, 162 Monument St. at 7:00 pm preceded by coffee/tea and desserts at 6:30 pm. "Groton Bank at the Click of an App!" Amy Perry, Executive Director of the Thames River Heritage Park will present an overview of the Groton Bank audio tours on the IZI app and describe the new developments for the Heritage Park's Water Taxi. Two all-day passes for the Water Taxi will be given away as door prizes. "Growing Up in Groton Bank"
"Morton F. Plant & the Branford House"
Gail Braccidiferro MacDonald, Associate Professor of Journalism at UConn, author of Morton F. Plant and the Connecticut Shoreline, will talk about the famous summer resident and his local legacy. Speakers: Hali Keeler, Leslie Evans and David Rose discuss their book, "Ghosts of Groton Bank"
"Ghosts of Groton Bank"Hali Keeler with Leslie Evans and David Rose will talk about spiritually active events described in their book "Ghosts of Groton Bank". 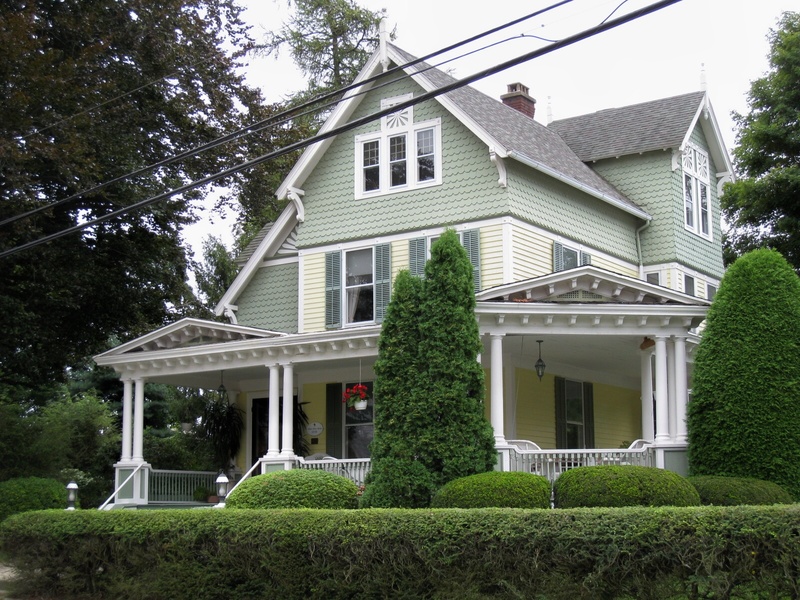 All three are residents of Groton Bank and have a strong interest in the history of our historic village. Hali is former Director of the Bill Memorial Library and now Adjunct Professor at Three Rivers Community College. Leslie is Director of the Avery-Copp House Museum and David is former president of the Friends of Fort Griswold. 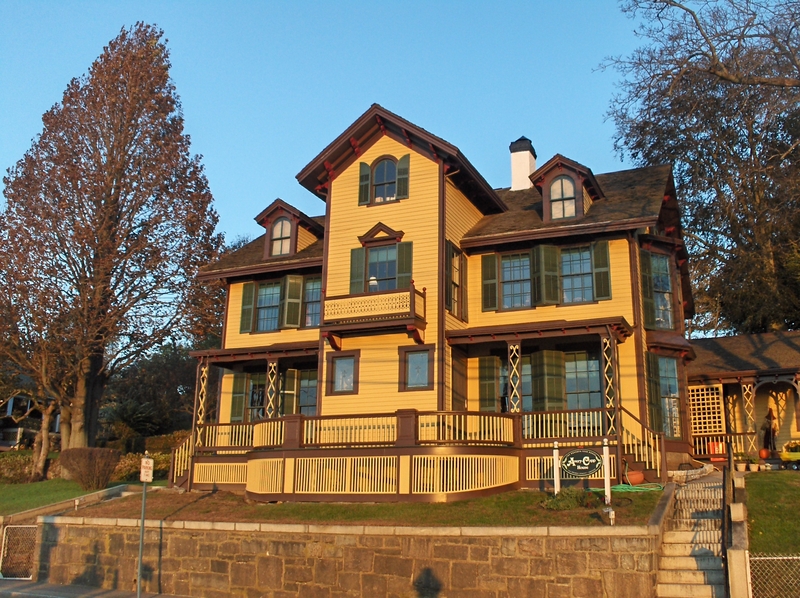 Including the Groton Monument, Monument House Museum and Ebenezer Avery House. Talks about the fort at 11:00 am and 1:00 pm, coupled with beverage, sweets and marshmallow roast over a bonfire. Kevin Johnson, of the Connecticut State Library's History and Genealogy Unit, portrays Jordan Freeman, the body servant of Col. William Ledyard, who commanded the patriots at Fort Griswold in the Revolutionary War battle on Sept. 6, 1781. Freeman was a black soldier-defender of the fort and Johnson's presentation is a lively re-enactment of that experience--a delightful story for children and adults. "Groton's Mighty Steamships--the "Minnesota" and "Dakota. Jim Streeter, Groton Town Historian, will give a PowerPoint presentation providing some historical background about the construction and operation the cargo steamships "Minnesota" and "Dakota". These ships were built in the early 1900s by the Eastern Shipbuilding Company which was located on the Groton Bank site where the northern portion of Electric Boat Corporation is presently located. When built these ships were considered the largest cargo vessels in the world. Note: this is one of several highlights of three centuries of shipbuilding on the Groton Bank of the Thames where many national and international records were set begining with Jefferies "Great Ship" launched in 1725, then the largest ship built in Colonial America; many wooden ships in the 1800s; the mighty freighters launched in 1903 and 1904; followed by submarines, e.g. the first nuclear submarine "Nautilus" launched in 1954. This is also the annual meeting of the Groton Bank Historical Association at which officers will be elected. 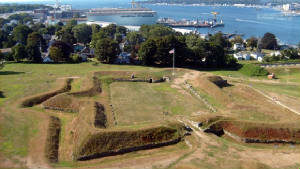 Henry Alves, Connecticut State Parks and Recreation Supervisor, who is now in charge of Fort Griswold, will share his ideas about that fort. "Buttons: A Fashionable History" Presentation in partnership with the Avery-Copp Museum. Button experts George and Gretchen Gauthier will present an illustrated program on the history and art of antique buttons, how styles and materials evolved in response to changes in fashion and technology. Grand old buttons were in fashion from the 18th century to World War II. 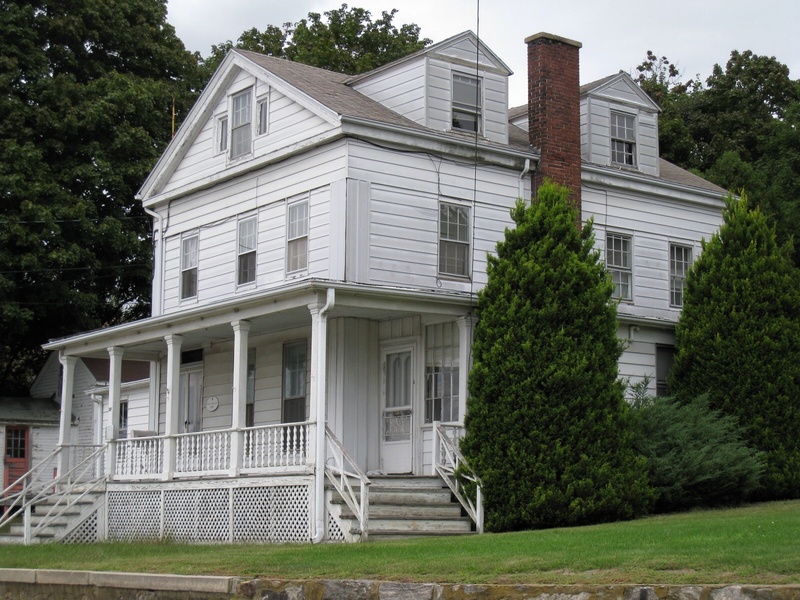 Their talk will incorporate stories of the battle of Fort Griswold and families of the Avery-Copp House and other local families. The Gauthiers have classified and built a collection of 30,000 to 40,000 buttons, some of which will be on display. "Thames Street - Then and Now"
Jim Streeter, Groton Town Historian will give a slide presentation on Thames Street changes. 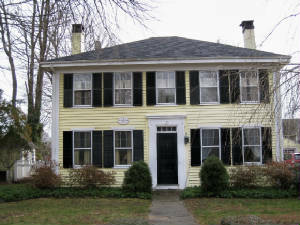 Until the mid-1900s Thames Street was the commercial hub of Groton. Jim's presentation includes numerous old photos from his extensive personal collection. The Thames River Harbor, generally called New London Harbor, was Connecticut's major center of continuous activity and strongest area of defense in the War of 1812. Beginning June 1, 1813, a British fleet, commanded by Sir Thomas Hardy, chased Commodore Stephen Decatur's three ship squadron into the Thames River and blockaded them here until the end of the War. Decatur quickly recognized that Fort Griswold, high on the hill above the village of Groton Bank, was in an eminent position to defend the harbor and he helped strengthen it with cannon from his ships before his squadron sought refuge further up the river. Remembering the British bloody massacre of colonists here in 1781, and fearing a repeat, residents were in a panic and began evacuating themselves and valuable belongings from Groton Bank and New London in the early days of June 1813. At this time Groton Bank's "Mother" (Anna Warner) Bailey became a national heroine for the act of removing her flannel petticoat while crossing Thames Street and giving it to soldiers for cannon wadding. In contrast to 1781, the Governor quickly deployed thousands of Connecticut State Militia principally assigned to Fort Griswold and points along the Groton bank of the Thames River, and also to the smaller shore-level Fort Trumbull, the area's military headquarters in New London. These troops were in addition to Connecticut Eighth Regiment of Volunteers, commanded by Groton Bank's Major Noyes Barber. In addition, on June 19, 1813 the Secretary of War ordered that Fort Griswold be put in complete repair. When an attack no longer seemed imminent residents of both towns returned. For 20 months from mid-1813 through 1814 the British fleet off the mouth of the river was frequently maneuvering and exercising their guns, keeping residents of Groton Bank and New London in constant fear of an attack. But an attack never occurred here perhaps due to the the strong harbor defense. Eastern Long Island Sound, off the mouth of the Thames River, was the British command center. On June 25, 1813 the American "torpedo" ship "Eagle" exploded while being brought to the war ship of the British commander causing him to intensify actions in Long Island Sound. By autumn 1813 more British war ships were stationed off the mouth of the Thames River than any where on the American coast. The British fleet blockaded trade, captured or burned many American vessels, fired on several of Connecticut's lesser defended coastal towns, and ordered a number of raids along our coast including the Nov. 28, 1813 Battle at Roger's farm west of New London, the April 5, 1814 raid on Essex, the Aug 9-12, 1814 Battle of Stonington, and the Aug 12, 1814 Battle of Groton Long Point. An attack on Groton and New London never occurred probably due to the strong harbor defenses at Fort Griswold and along the banks of the Thames River. For a detailed account of the "Thames River and Fort Griswold in the War of 1812"
see Connecticut History, Vol. 52, No. 1, pp. 64-74 (Spring 2013). Susan Tamulevich, director of the New London Maritime Society and Custom House Museum will speak about lighthouses which for more than an century have led mariners into our harbor--New London Light, Thames Ledge Light and Race Rock Light. Long Island Sound is unique due to the large number of lighthouses lining its shore and New London Harbor has three important ones mentioned above. They are now owned by the New London Maritime Society and Susan will tell us what the Society is doing with them. 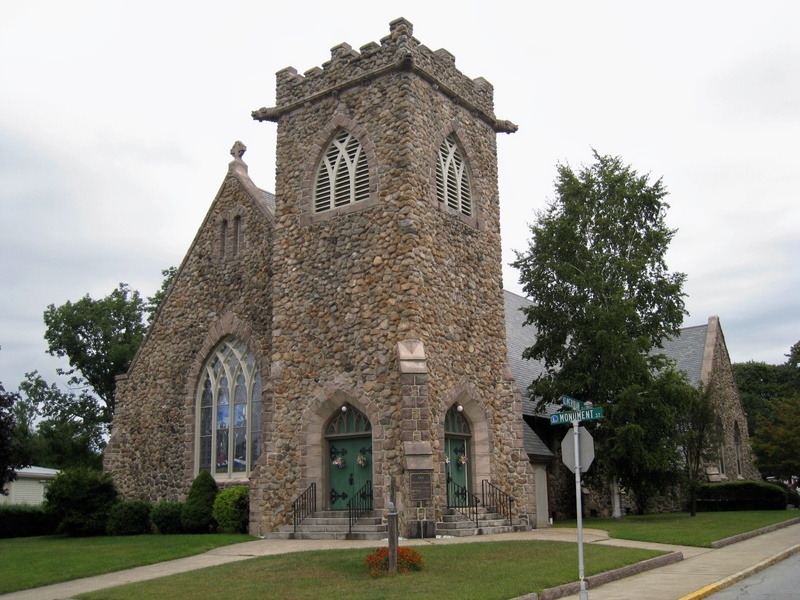 Potluck Dinner at 6:15 pm at the Groton Congregational Church--meet your neighbors, tell us about your experiences in Groton Bank. Please bring a dish or dessert to share. Groton Bank Historical Association members are assisting the Groton Education Foundation in a Nosh and Stroll evening of fun and food at several Groton Bank houses along Monument Street and near Fort Griswold. 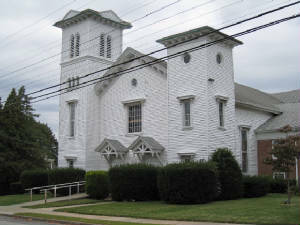 Stroll is from 5 to 7 pm starting at the Bill Memorial Library and includes the homes of Archie and Liz Swindell, Tom Althuis, Sue and David Bailey, Bruce and Gina Fafard, Margret Roberston, and Bruce Shipman, ending with refreshments at the Groton Congregational Church. For invitations and tickets to benefit the Groton Education Foundation please call 860-445-0748. 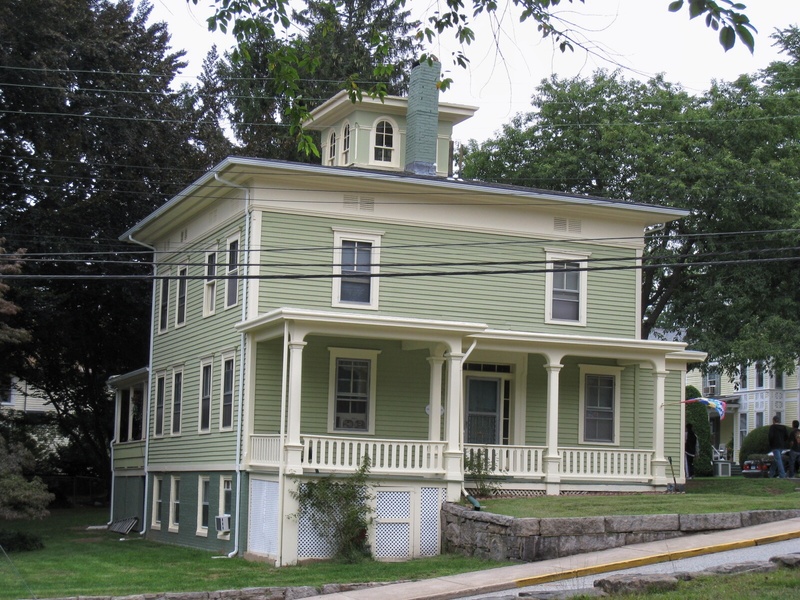 The City of Groton's Summer in the City program in conjunction with Connecticut Open House Day will feature a walking tour of the village of Groton Bank and a number of its historic buildings will be open to the public. 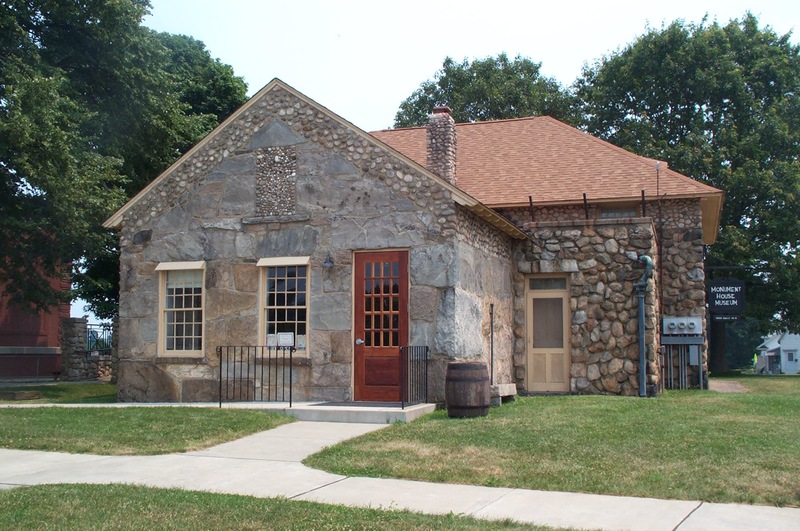 An approximately hour-long walking tour led by GBHA president Tom Althuis will start at 10 AM at the Groton Monument, go through Fort Griswold (site of the 1781 Revolutionary War battle and Connecticut's major defense in the War of 1812), past the Enz. 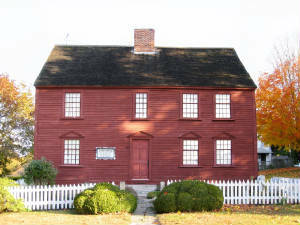 Ebenezer Avery House in the Fort, and point out a variety of architectural styles and notable historical events that occurred along Thames, Broad and Monument Streets. Light refreshments will be available at some of the sites. Jordan Freeman: The Fight to Set a People Free"
Kevin Johnson, of the CT State Library's History and Genealogical Unit, will portray "Jordan Freeman Freeman was the body servant of Col. Ledyard, commander of Fort Griswold during the American Revolution and Benedict Arnold's assult that occurred there on September 6, 1781. Freeman was one of the two black defenders of the Fort in that battle. Jim Streeter, Groton Town historian and GBHA member, will speak about Civil War Veteran Robert A. Gray, a resident of Groton Bank and the only person from Groton to win the Medal of Honor. "Everything You Wanted to Know about Groton Bank, Part II"
"Groton Bank and the War of 1812"
Speaker: Tom Althuis, president of GBHA. The Thames Harbor with New London on the west and Groton Bank on the east was clearly Connecticut's major arena of continuous activity in the War of 1812. On June 1, 1813 the British fleet chased Commodore Stephen Decatur and his 3 ship squadron (the "United States", the "Macedonian" and the "Hornet," comprising 1/5th or more of the US Navy) in to the river and blockaded them there for the remainder of the war. British war ships maneuvering in eastern Long Island Sound off the mouth of the Thames River first produced panic and then continued fears among local residents that an attack was eminent. For the next 20 months the blocade of this port became a British center of activity and had a severe economic effect essentially curtailing trade not only in the harbor but Long Island Sound as well. Constant fear of an attack led to continued improvements in coastal defense. At Groton Bank, Fort Griswold, 150 feet above sea level, with a battery 75 feet above the river, was the most significant defense for the harbor and the state. Decatur helped to reinforce it in the early days of June 1813 as did troop regiments and improvements continued through the year. The smaller Fort Trumbull at water level in New London was the district's military headquarters. But most of the militia, at times approaching two thousand men, were stationed on the Groton side of the river. The strong force at, and the strategic location of Fort Griswold coupled with Fort Trumbull less than a mile across the river probably discouraged the British from attacking this harbor as they did Sept. 6, 1781 during the Revolutionary War. After all any cannon shot coming from either of the Forts could strike an enemy ship anywhere in the entrance of the river. What happened here is a largely ignored story of successful harbor defense. Nevertheless in late 1813 through 1814, constant harassment by the British ships resulted in skirmishes, capture of some American ships, a number of raids and some small battles elsewhere along the Connecticut coast. "Everything You Wanted to Know about Groton Bank Part II: History of Churches, Organizations associated with Fort Griswold, and Historic Artistic Presentation"
Speakers include Lorraine Chappell, (Groton Congregational Church), Cathy Johnson (Avery Memorial Family Association), and Barbara Morin (DAR.) 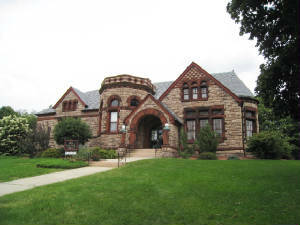 Liz McGee (noted watercolor artist), will present some of her works on local historic sites. "Everything you wanted to know about Groton Bank: Part I: What's Happening withThames Street and the Mother Bailey House"
"Histories of the English Garden"
Joanna Negri, owner of English Borders in North Stonington, will speak about histories of the English Garden. Joanna specializes in perennial garden design eco-friendly gardening. 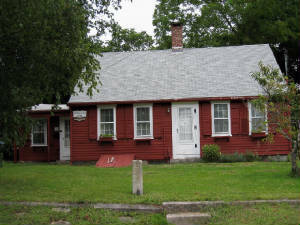 She has a keen interest in the history of colonial homes and people who settled this area. She and her husband have appeared in HGTV's "If Walls Could Talk", a show exploring historic homes and their hidden stories. 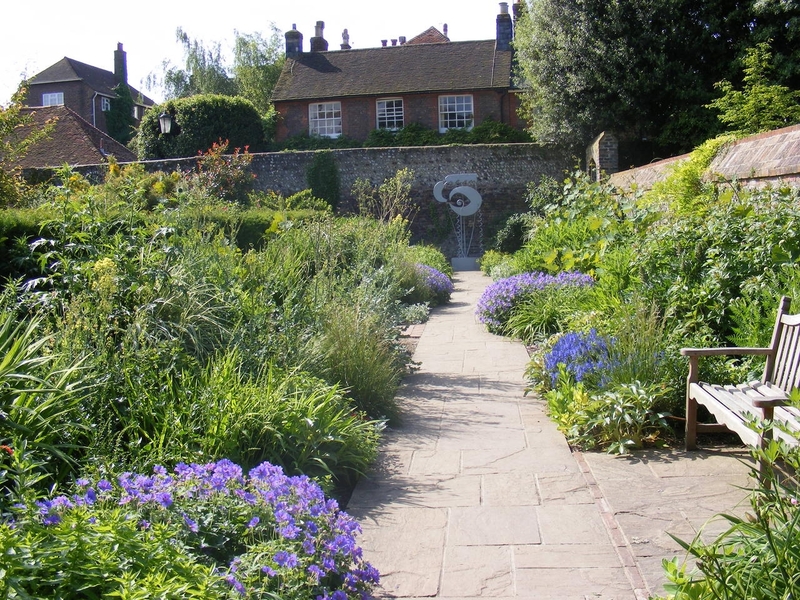 Joanna was born a stone's throw away from the famous Kew Gardens in London, England where childhood walks instilled in her a life-long love of plants. Originally trained as a research chemist, in 2005 she followed her bliss and made working with plants her profession. She is passionate about sustainable organic gardening and working in harmony with both nature and architecture. Joanna's talk promises to be filled with ideas that could be applied to lawns/gardens in our historic neighborhood. "The War of 1812, Connecticut, and Groton Bank"
Glenn Gordinier of Mystic Seaport and the University of Connecticut at Avery Point put Groton Bank in context of the larger developments of the War of 1812 and included comments about Mother Bailey and other Groton Bank residents of the time. The War of 1812 became a serious concern for Groton Bank on June 1, 1813 when the British fleet blockaded Commodore Decatur's squadron in New London Harbor for the remainder of the War. Area residents remembered Benedict Arnold's bloody September 6, 1781 attack on Groton and New London. Fearing a repeat, the militia was sent out, forts were reinforced and women, children and portable possessions were evacuated. Although there were a number of times in 1813 and 1814 that a British attack seemed imminent, an invasion attempt never materialized perhaps due to better fortifications and more manpower on land than we had during the Revolution. 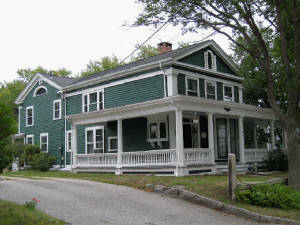 Glenn is a visiting scholar at UConn Avery Point and the Robert C. Albion Historian and co-director of the Frank C. Munson Institute of American Maritime Studies at Mystic Seaport. He is also writing a book, "Rockets Red Glare" in conjunction with a Lyman Allyn Museum exhibit on the War of 1812. "Groton Bank, a Century Ago"
The largest ship in colonial America was launched here in 1725 and shipbuilding here has set records ever since. Almost all men who lived in the village were killed or wounded in 1781 during the Revolutionary War Battle at Fort Griswold. A heroine of the War of 1812 who lived on Thames St. received national attention later to be visited here by 3 U.S. Presidents. 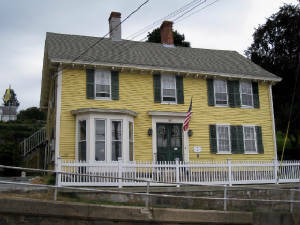 The most notabe and successful sea captains of the whaling era lived here. 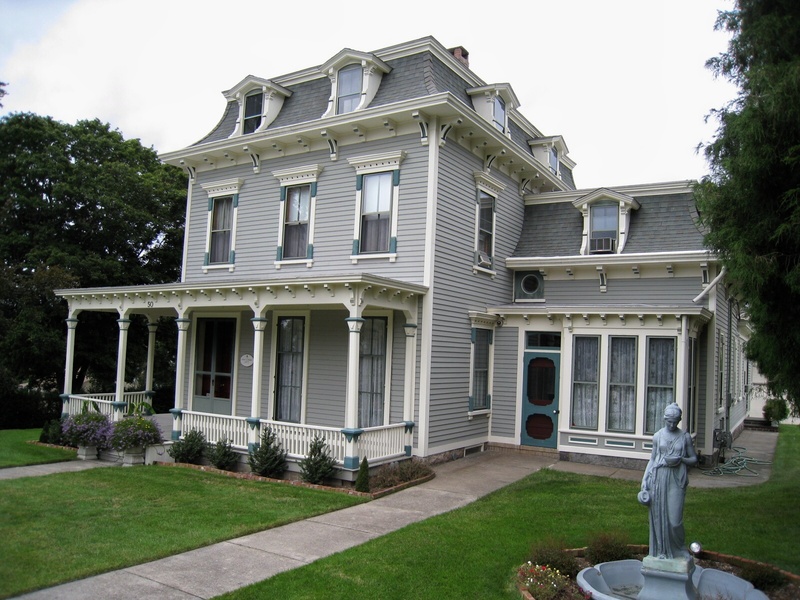 Groton Bank is an architectural gem with colonial to Victorian styles. Ferries were the only form of transportation across the Thames River until the first railroad bridge opened in 1889 followed by the first car bridge in 1919. 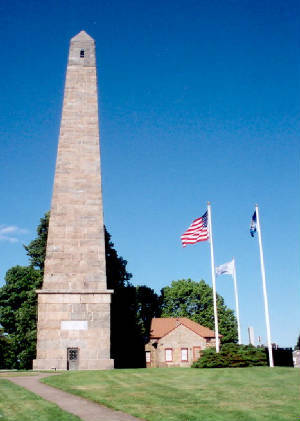 Groton Monument, dedicated 1830, oldest patriotic monument of its kind in the U.S.